After checking on my queens today, I found that the feral hive from the Mexican bar, as I expected, seems to already have a queen because they are very hostile while trying to free the queen. More like, trying to kill her. So I decided to use her in my newly made queen castle. I prepped everything and then placed her inside. I then shook several frames from my nuc into it. So far all is fine as the bees are already adapting to their new environment. The nuc had been queen-less also (after a slight mishap) but the frames were full of brood, right on schedule, layered heavily in a good tight pattern. Couldn't fine the queen, but if she was shaken into the Queen Castle, they will have to make another. She seem to be a good layer, so if I did shake her out, that may not have been a bad thing. 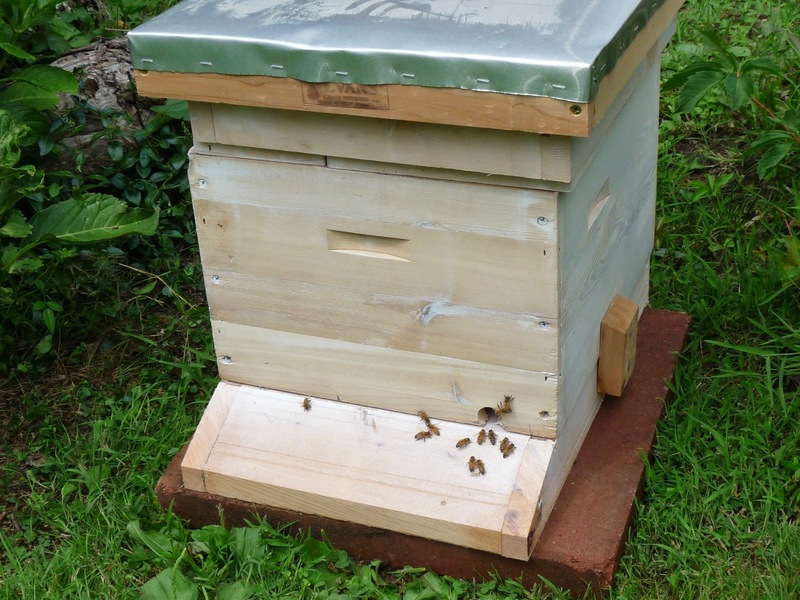 The Queen Castle (QC) is a modified 8 frame brood box with shortened frames to fit my octagonal boxes.